To Air or not to Air? Then, George walks over to my desk. George and I have this interesting thing going on: I talk him into buying Apple stuff (rather successfully) and he talks me out of buying Apple stuff. He explained to me why I shouldn’t get a MacBook Air. Unfortunately, he’s right in all accounts. After a little digging, for $300 less than the Air I bought a regular MacBook (white). I can later replace the hard drive for something larger, easily. Sure, if I traveled a lot or had to carry the machine everyday, then the smaller and lighter Air wins a lot of points. But that’s not the case. My MacBook should be in tomorrow. You forgot to mention that you saved a few hundred dollars in the process. 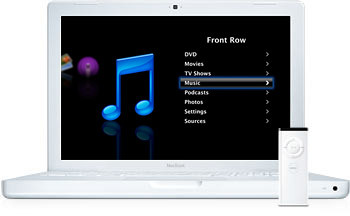 And quickly looking at the tech specs, I don’t see and infrared port on the MacBook Air to support FrontRow. primo yo tambien ya me compre una macbook. 2 gb de ram y 160 de hd. namas que no le entiendo ni madres a este aparato . . . The MacBook really is the best value laptop that Apple produce. I have had one for a year or so now and am very happy with it as a workhorse machine. My only real gripe is the plastic the case is made of is rather too soft and scratches and marks much too easily. I think the Air is beautiful and am sure it will sell very well, but most users like yourself will probably find the Macbook just as good if not better.